Black African motion pictures emerged in the 1960s, at the height of the sociopolitical upheavals experienced by many nations in the transition from colonialism to independence. Working mostly with minimal budgets and limited distribution opportunities, African filmmakers nevertheless have been consistent prizewinners at international film festivals. 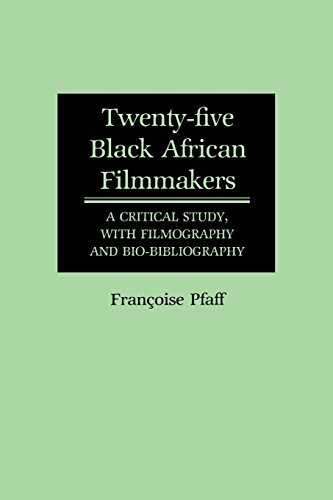 Francoise Pfaff introduces this developing artistic tradition to American readers with her informative and highly readable guide to the work of twenty-five Black African directors. View More In Movie Directors. If you have any questions about this product by Brand: Greenwood, contact us by completing and submitting the form below. If you are looking for a specif part number, please include it with your message.